I am a spider expert and I can tell you guys all about spiders. This is what I can tell you guys; OK .Here we go. 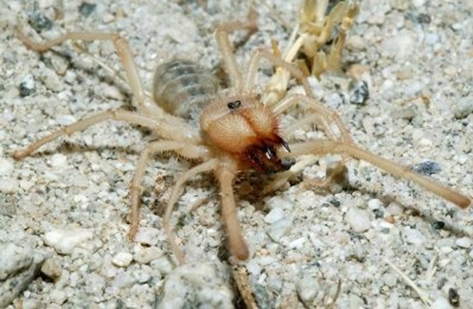 Spiders can live many different places and spiders can have up to 12 legs and 10 eyes. 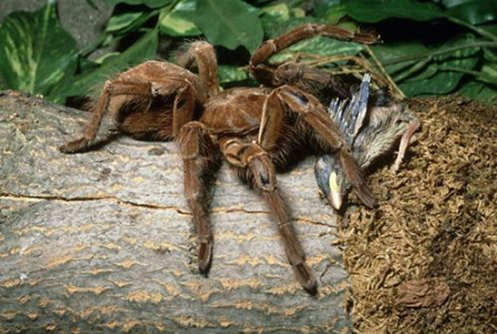 I like spiders a lot and I like to feed spiders and my favorite spider is a Goliath Bird Eater. And now I can tell you guys about my life. I like to play a lot and kick ball and I like to play with my dogs Sasha and Bella. I play fetch with them a lot and I like to ride my skateboard. I like to do tricks and to play with my friends and to go to school and be with friends. My best friend is Noah cause he is very fun and likes to play a lot of games and to build forts. I play basketball a lot with Noah cause we like to have fun and do a lot of things together. We like to sit at the same table, and do works together and do games and watch the weather together, and like to find a lot of, bugs together and that is the end. I love Alijah’s enthusiasm for spiders and life. Let’s make sure he also has correct information. Spider’s have 8 or fewer eyes and all have 8 legs. My tarantula lost a leg so for a while she had 7 legs but every time she molted she gained a joint and now she has 8 again. Marvelous! Best wishes to Alijah, a fellow arachnid fan!